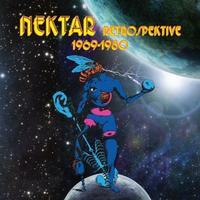 In their first incarnation Nektar were sort of an obscure band. Formed by Brits relocated to Germany, they were lumped into the “krautrock” grouping and success on the level of fellow English bands like Yes and King Crimson eluded them. Still, they had their share of fans and accolades. It seems that in their most recent incarnation they’ve actually achieved a higher level of name recognition than the first occurrence afforded them. For that reason, there are likely to be a lot of fans needing a quick catch up on the band’s career. I can’t imagine a better starting place than this. Starting with the pre-Nektar band The Rainbows, this really does a great job of chronicling the group’s history in two CDs. In terms of song selection, though, personally I’d like to have seen a couple more songs from Magic is a Child and just one from Man in the Moon, but I really like Magic… Still, this is a classy set with the two CDs placed in a classy box. A button, full color booklet and mini-poster are included in the package. In addition, both CDs come in nice sleeves. This is a classy release and well worth inclusion in any Nektar collection. This cut was actually recorded under the name “The Rainbows,” and while there is a lot of 1960s pop and psychedelia built into this, sounds that would later be associated with Nektar can be heard here, too. This is cool cut that still works reasonably well. Another from The Rainbows, this has some of the same sounds as the previous number, but I can hear The Animals, Vanilla Fudge and other groups as links here. Still, this is easily spotted as a precursor to the Nektar sound. There’s a cool piano segment that serves as the closer. Coming from the debut Nektar disc, the noisy psychedelically inspired space rock is similar to the kind of weird stuff Hawkwind often did. This is fairly short and purely instrumental. Rising up from the previous song, there’s a lot of that psychedelic texture here, and again it calls to mind Vanilla Fudge a bit at times. The first vocals are spacey, but then we get more full rock vocals. There is some killer Vanilla Fudge like organ based jamming later. More pure progressive rock is heard later, but then it descends to keyboard based, Vanilla Fudge like space jamming. In some ways this gets spacier than the Fudge usually did. Some killer guitar based jamming takes it out from there as the vocals soar. More organ comes across as this segment turns instrumental. A dramatic and keyboard heavy section opens this in a great hybrid of mainstream progressive rock and space rock. They take it through some various sections as the vocals spin their tale. The musical concept and lyrical one is appropriately connected to the previous piece, but in some ways it’s not as far reaching. It’s more rooted in purely guitar oriented sounds with waves of vocals soaring over at times. Still, this also gets decidedly spacey at points. Although there is some cool space rock on hand here, in a lot of ways this isn’t that far from some of the psychedelically inspired pop that came out in the late 1960s and 1970s. There are moments where this rises to brilliance, but the vocal sections here seem a little light weight for Nektar. Still, some of the instrumental segments are quite cool. There’s a smoking hot guitar driven prog jam later, as an example of that. This cut begins with a moody and emotional vocal section that is sort of like a space rock treatment on psychedelic blues. As it rocks out harder that psychedelic sound (again rather like Vanilla Fudge) is more prominent. They take us through a number of interesting changes and alterations in an arrangement that is trademark Nektar. A hard rocking and energized jam later is particularly cool. Acoustic guitar opens this with style. It feels like it might become a blues rocker, but instead it works out to an energized and accessible jam that’s so classically Nektar it’s unmistakable. This thing rocks out very well and is really one of the best tracks the band ever did, at least in terms of relatively shorter pieces. It’s got all the things one expects in a Nektar song, just in a shorter version. Ambient tones start this, and organ eventually enters to gradually begin building the piece up. After a time, the entire band joins in, creating a powerful and triumphant sounding progressive rock movement. They play with this for a while, then drop it to a very dramatic segment based mostly on the rhythm section. The group works through this new segment for a time, and it eventually resolves out to a balladic prog section that feels a lot like Pink Floyd meets the Beatles. This forms the structure of the verses. As they move this forward it eventually gains a new intensity through a more pronounced rhythm section, the group eventually explodes this out for a short time in prog fury, then they drop it back to more Floydian texture. They bring this back up to the rhythmic fury dominated segment continuing through this then creating another highly dramatic segment. This gives way to amore catchy chorus section that is punctuated by some solid jamming. After this plays through, the move to another verse segment. This explodes out into more frantic prog jamming that is trademark Nektar. This dynamic jam keeps growing and changing. It gets rather tough to keep track of all the changes, but suffice it to say that this one is a prog extravaganza. At nearly 17 minutes, this epic is just awesome! Starting with the mellower elements, a new, understated guitar jam takes it for a time. This section stays around a bit to long for my testes, but eventually a stomping hard-edged prog rock extravaganza takes over. This rises up tentatively and melodically before guitar screams overhead. It drops to mellower tones for the verses and there’s almost a Nektar does gospel texture to the choruses. The progression on this is rather simple and it doesn’t go very far, but it’s still effective. This track’s an intriguing one. In some ways it’s trademark Nektar. Other parts of it, though, particularly the vocal hooks, feel closer to a combination of The Beatles and Mott the Hoople. There are snippets of some classic rock covers built into this later. This cut is intriguing. It’s got a rather stripped back and trippy arrangement, but there are some bits of this that would ultimately be reworked and land in “Remember the Future.” It’s a powerful and evocative cut by itself that works extremely well. There are some killer hard rocking psychedelic moments later, too. The verse on this almost feels like something George Harrison might pen, but there’s still plenty of classic Nektar sound in the mix. The chorus is more trademark Nektar. All in all, this is an intriguing number that’s both accessible and rather trippy. Coming in with a sedate guitar melody, the other instruments join, and a melodic rather pretty progression begins to rise up and take the piece. This mode maintains until a more dramatic section takes its place. This dramatic instrumental mode plays through then another new movement begins in a balladic type of style. The cut builds on that mode, and we come into another powerful verse. After this segment plays out for a time another new melody line emerges and begins a building process for a time. As part of this building a chanting type vocal enters, then as this crescendos a new section appears powered by a somewhat funky bass line. It continues on in this way for a time recreating and restating this theme. Then a triumphant chorus enters and crescendos giving way to a slightly melancholy melody. An extremely brief faster-paced segment intercedes. When the melancholy section returns it is not again interrupted. The verses based on this mode are very dramatic and evocative and truly this is probably the most powerful section of the whole album. It moves on from there to another slow paced movement that somewhat carries on the texture of the one that gave way to it while felling just a little Floydish, particularly in the guitar tones on the solo. The cut stops for a moment, then a new chording pattern with a fairly quick tempo comes out, and earlier vocal themes return. The cut builds on this until another triumphant and powerful chorus takes it. The composition continues to alternate between these two modes before a segment driven by funk-oriented guitar and potent vocals moves us into new territory. The next movement gets extremely funky, but really jams. The movement that brings us out of there is harder edged and just a bit in the mode of Captain Beyond. 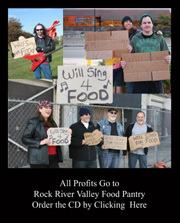 The funk returns once again along with more Gilmourish guitar soloing. That segment ends abruptly and atmospherics take the Remember the Future album to its conclusion. Bouncy, fast paced and fun, this is kind of like classic Nektar mixed with pop music. It’s cool, but far from the best thing the group ever did. The intro to this has a real show music kind of thing. Then we get a German announcer making an introduction as the band plays more typical Nektar sounds. This has a real jazzy element as it works out from there. It’s bouncy and a lot of fun, but also full of drama and charm. There’s a killer guitar solo. It’s quite a while before we get more vocals. They also have a German accent to them and are somewhat distant and echoey. This really has a killer instrumental groove to it throughout. More of that German announcer opens this and the band fire out into a hard edged and psychedelic jam with jazz horn section. This reminds me of something Klaatu did later in their career. It’s a hard rocking tune that’s very catchy. Beginning much like a hybrid of Yes and Genesis, it eventually gives way to more wholly Yes type approach, though not really derivative. Bringing to mind other progressive sounds, most notably ELP and Kansas, “Cybernetic Consumption” most reminds me of Drama era Yes, although it predates Drama by about 5 years. Starting in a poetic Moody Blues/Hawkwind type fashion, this song evolves into a more Yes style approach. This is a very kinetic piece. Starting with a return to an earlier theme (from elsewhere on the Recycled album), this one quickly moves into the main body of the piece which is at one time both mainstream and quirky as hell. The bass work is prominent on this piece. At one point the song moves into a very dramatic instrumental break before returning to the main body of the movement. Eventually the music is brought down to prepare for the nice calm opening of the final portion of the album. A very nice guitar ballad feel begins this one, becoming very emotional and richly arranged as the piece progresses. Some rather pretty piano/vocal work marks the ending of the Recycled album. Fast paced and triumphant in sound, this cut feels a little light for Nektar early on, but the pre-chorus is very dramatic. It is really easy to hear Starcastle as emulating the sound of this number. A drop to the very sparse and sedate triggers another great movement with a killer dramatic sound. The cut just keeps evolving on these themes and integrating new segments. This one gets so dramatic and even a little bluesy at times. Anyone who feels that the Magic is a Child album is sub-par Nektar really needs to give this dynamic piece another listen. An '80s styled arena metal texture, ala Europe, begins this one, but as it drops to the verse the mode is closer to old Nektar. Still this is far more pop than prog. The chorus, in particular, is all pop/metal. It does drop to a break that seems a little more like the Nektar we know and love. The vocals are really what saves the track. Albrighton makes it listenable. A piano line that begins this one flirts with signs of a Nektar of old, but alas it is not to be. This ballad has more going on than the last one, but still comes across as quite lackluster in terms of Nektar-ness. Title track material, a keyboard flourish leads to a crescendo to start the piece. Then atmospheric tones take it. There is a very gradual building process for a time, then a riff erupts that could pass for old Nektar, but the cut is really more '80s style pop metal than true prog. Still it is heads above most of its genre.